The HPWREN team recently linked the Borrego Valley Downhole Seismic Array and the Boyd Deep Canyon Desert Research Center to their high-speed backbone node at Toro Peak. Additionally, the Kings Stormwater Bridge was connected to the network via Toro Peak earlier this fall while Garner Valley Downhole Seismic Array and the Santa Rosa Native American Reservation's education facility will also be connected within the upcoming months. 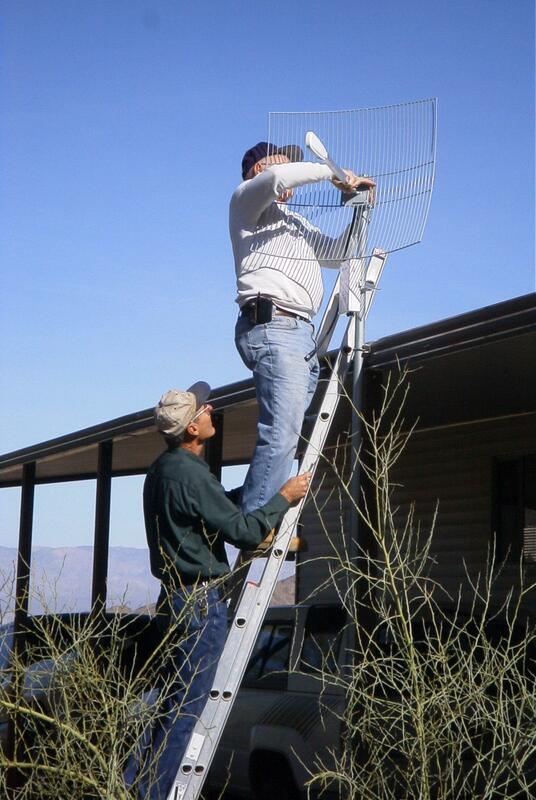 Field researchers and educators at these remote sites are now able to stream data via HPWREN at several megabits per second. 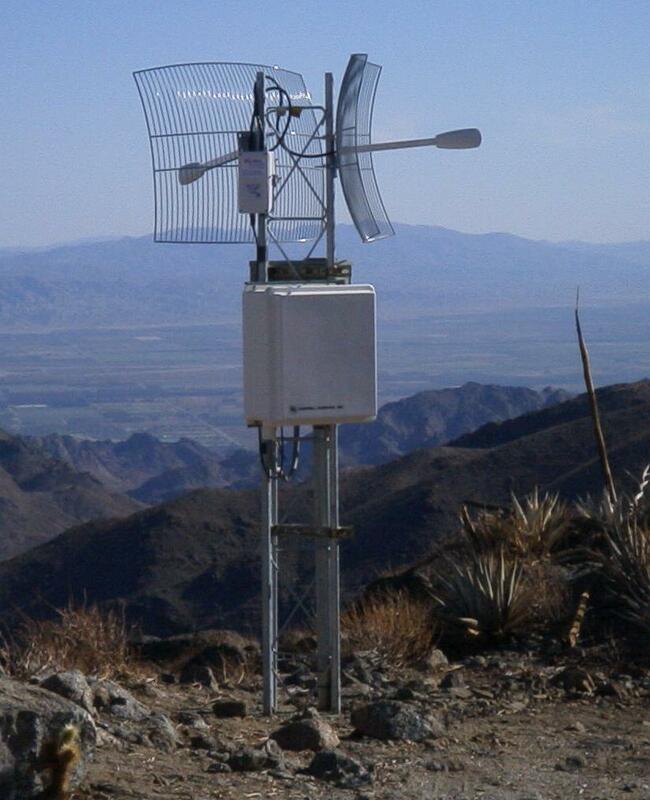 One antenna at the Boyd Deep Canyon Agave Hill relay points toward Toro Peak, while the other connects into the reserve itself. HPWREN and Boyd Deep Canyon staff collaborate to finish the connection to the reserve site. Until November, the Borrego Valley Downhole Seismic Array did not have the ability to stream real-time data. 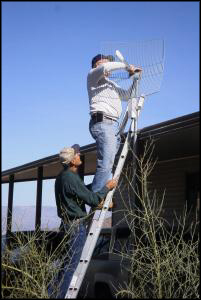 However, the remote seismic array now has the capability of sending and receiving data via HPWREN's high-speed network. 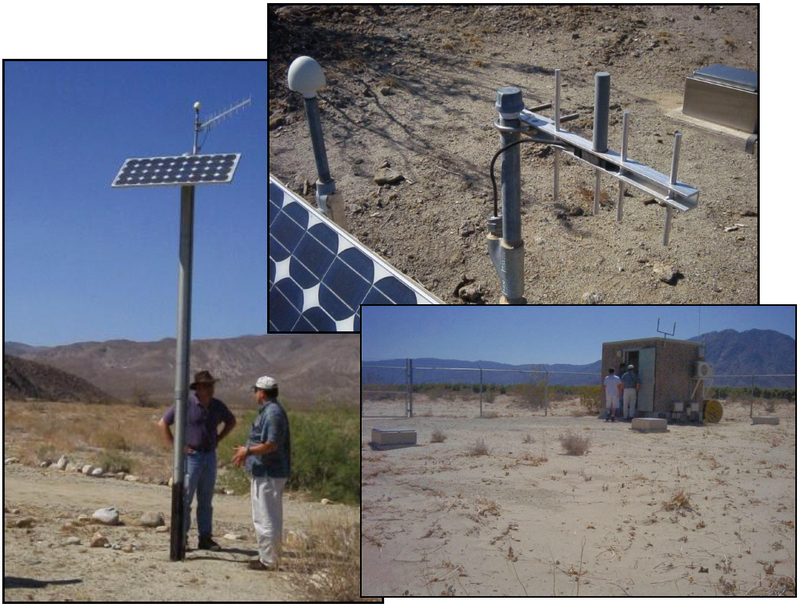 This connectivity allows seismologists and geophysicists to integrate data from the Borrego Valley seismic array with other real-time seismic data that are being collected at UCSD. The researchers can then combine the data sets to get a clearer picture of what is going on with the earth's movement - and also have the ability to monitor and maintain the health of remote field instrumentation in real-time. "The Borrego Valley Array provides important information on the effects of surface geology on ground shaking," explains Jamison Steidl of UC Santa Barbara and PI for the Borrego Valley seismic array project. "Using this data we can calibrate our predictive computational techniques for modeling strong shaking and thus provide better estimates of ground motion to engineering community." "This research translates into better designed structures and lifelines, a safer built environment, and ultimately improved public safety. In addition to quicker access to the data for the above mentioned research, the ability to have the data from this array in real-time allows for the inclusion of this data into the local Anza network, and the regional and statewide networks for use in locating earthquakes." 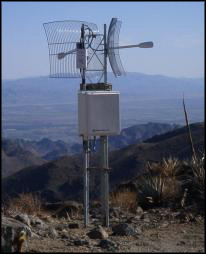 Likewise, the 16,301-acre Boyd Deep Canyon Desert Research Center also lacked the capability of streaming real-time data to and from their research facilities - until December when they were also linked into HPWREN. The reserve's field scientists, who primarily specialize in plant and animal ecophysiology such as adaptation to water and heat stress, are pleased with the high-speed connection. "Our researchers now have the tools to access real-time data and the option to use technology and field methods that were not available previously at Deep Canyon," says Al Muth of UC Riverside and director of the Center. 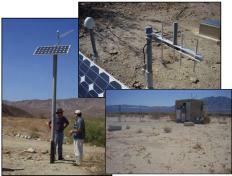 "We look forward to exploring the potential of this new capability at Deep Canyon Desert Research Center." For additional photographs depicting the installation, please refer to http://hpwren.ucsd.edu/Photos/20000412 and http://hpwren.ucsd.edu/Photos/20021211/.